I love one pan meals, it takes little time and is easy to clean. Perfect for days that I don't have much time or want to entertain with ease! Season tilapia with salt and pepper and place on a small baking sheet. 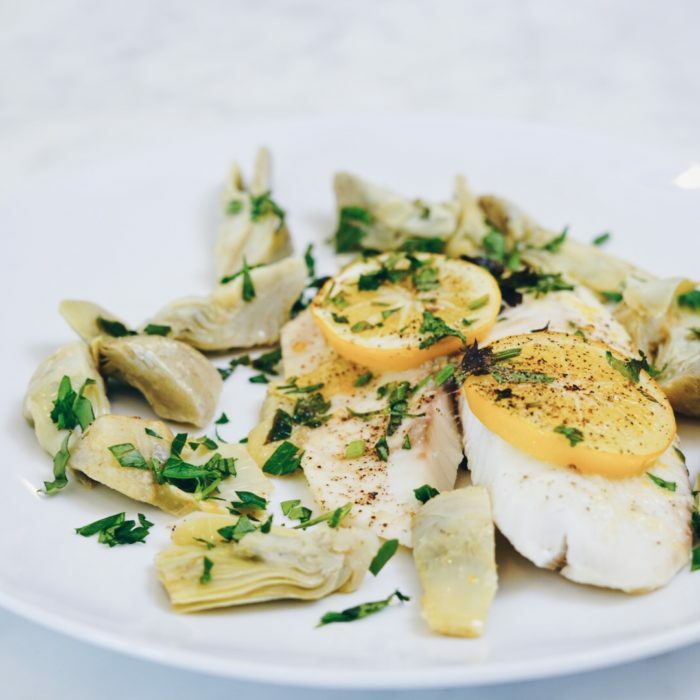 Arrange artichokes hearts around the fish. Mix together butter, garlic, red pepper flakes, lemon juice, and zest then pour over tilapia. Bake tilapia for 18-20 minutes or until fish is fork tender.